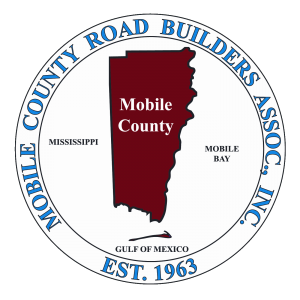 The Mobile County Road Builders Association (MCRBA), is a non profit trade association whose membership includes both construction and professional service companies. The association is committed first and primarily to quality and cost-effective construction on projects for the County of Mobile governing bodies, for the public it serves, and for all the general commercial and private users of road and bridge programs developed within our County. Mobile County Road Builders Association, Inc.
Shaun Stapleton – John G. Walton Construction Co., Inc.
Wallace Harvey – H. O. Weaver & Sons, Inc.
Michael Weaver – H.O. Weaver & Sons, Inc.
John Whitman – Mobile Asphalt Company, L.L.C. Ken Donoghue – H.O. Weaver & Sons, Inc.
Chris Thornton- C. Thornton, Inc.
Johnny Murphy – H. O. Weaver & Sons, Inc.
Michael B. Tew – S. J. & L., Inc.
John McLaughlin – Gulf Equipment Co.
Johnny Walton – John G. Walton Construction Co., Inc.
To promote the proper development of highways and streets throughout the County of Mobile in the State of Alabama; collect and disseminate information within the County on highway and street planning, and planning of finance, construction and maintenance thereof. Michael Weaver – H. O. Weaver & Sons, Inc.
John Whitman – Mobile Asphalt Co.
Josh McElhenney – McElhenney Construction Co.
Johnny Walton – John G. Walton Construction Co.
Roger Dixon – John G. Walton Construction Co.
Jimmy Loftin – Mobile Asphalt Co.
John McLaughlin – H. O. Weaver & Sons, Inc.
Shaun Shugart – Mobile Asphalt Co.
Brett Paulk – H. O. Weaver & Sons, Inc.
Chris Thornton – C. Thornton, Inc.
Johnny Walton- John G. Walton Construction Co.
Bret Paulk – H. O. Weaver & Sons, Inc. The Engineering Advisory Council includes, representation from the County Engineer’s office, the MCRBA, ASCE / ASPE, and AGC – to consider and recommend improvements to the design, specification, contracting, and quality assurance procedures employed within the County of Mobile for public and private projects. The common goal is to best assure that the vast majority of potential problems are identified and solved as early as practical in the process – and that a high quality, manageable, and cost-effective construction environment is achieved. 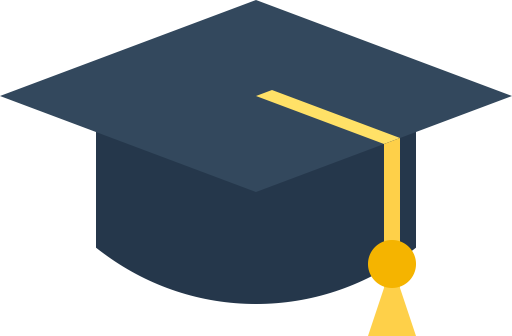 The Mobile County Road Builders Association Scholarship Fund was established in 1968 to promote excellence in the transportation construction industry in Mobile County. In 2015 the association was able to make this an endowed scholarship with the help of the Mitchell/Moulton Scholarship Initiative which matched our scholarship dollar for dollar. The Fund awards an annual scholarship in the amount of $3,000.00 to the “Outstanding Civil Engineering Student” at the University of South Alabama. · have their primary residence in Mobile County, or if one is not available, in Baldwin County; must plan to return to Southwest Alabama to work after finishing school. The University is given the authority to choose the student with the best overall grade-point average that can meet the above criteria. 1975 – John D. Higby, Jr.